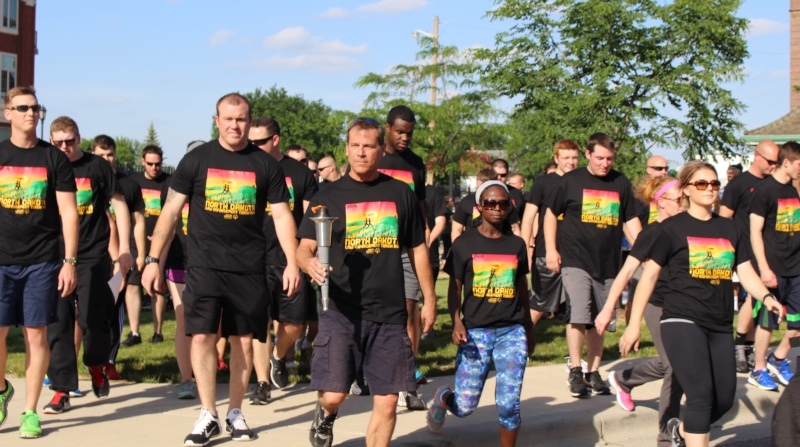 The Law Enforcement Torch Run (LETR) currently has 53 programs within the U.S. and 112 programs in 45 countries raising more than $50 million annually and recruiting more than 15,000 law enforcement officers from all over the world. The original Torch Run began in Kansas in 1981 as a vision of Chief Richard LaMunyon who wanted to give his officers an opportunity to participate in something positive. North Dakota's Law Enforcement Torch Run began as a 30-mile run and is now a multi-day relay that covers routes from Dickinson and Williston to the eastern part of the state, ending at the State Summer Games in Fargo with 200+ runners. Now more than a run, the Torch Run is a campaign to raise awareness and funds for Special Olympics. The mission of the LETR is to raise both dollars and awareness for Special Olympics. Nearly 100 agencies and 1,000 law enforcement volunteers work year-round in North Dakota to accomplish this goal; they are some of our greatest volunteers. All funds raised go towards supporting North Dakota's year-round sports training and athletic competition. Many agencies hold events like truck convoys, raffles, tip-a-cop's and trivia nights. Law enforcement volunteers and businesses conduct promotions that raise funds and generate awareness as well. A major source of funding comes from the sale of Torch Run t-shirts that feature a new design each year. 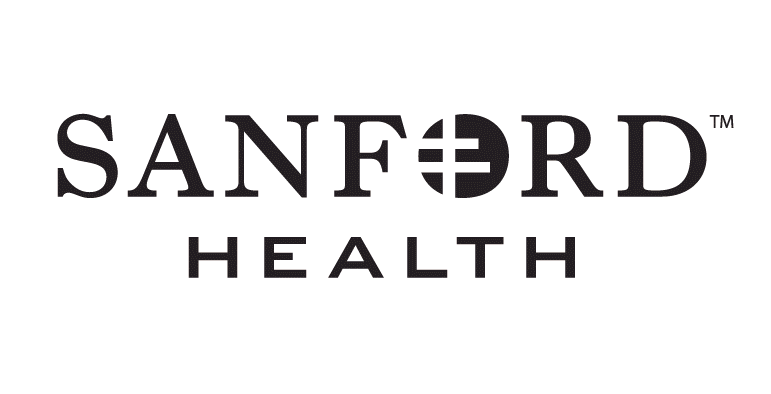 Sponsors and corporate donations help round out these fundraising efforts. State sponsorship's are available for companies and organizations seeking to align themselves with law enforcement to help Special Olympics. 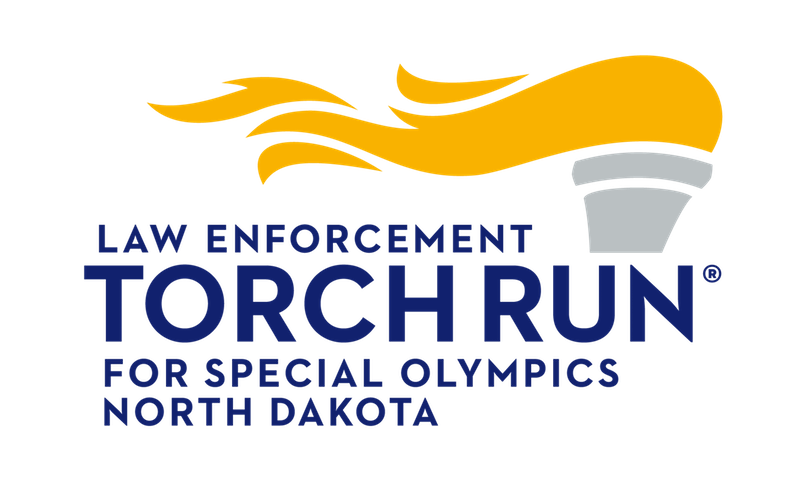 State partners for North Dakota's Law Enforcement Torch Run can be found under the LETR Sponsors page. For more information, please contact our office by email at development@specialolympicsnd.org or by phone at (701) 746-0331.